I'm a kitchen body. I love to cook and organize. Here's what's been going on lately. I made amazing whole wheat blueberry muffins. Get the recipe here. 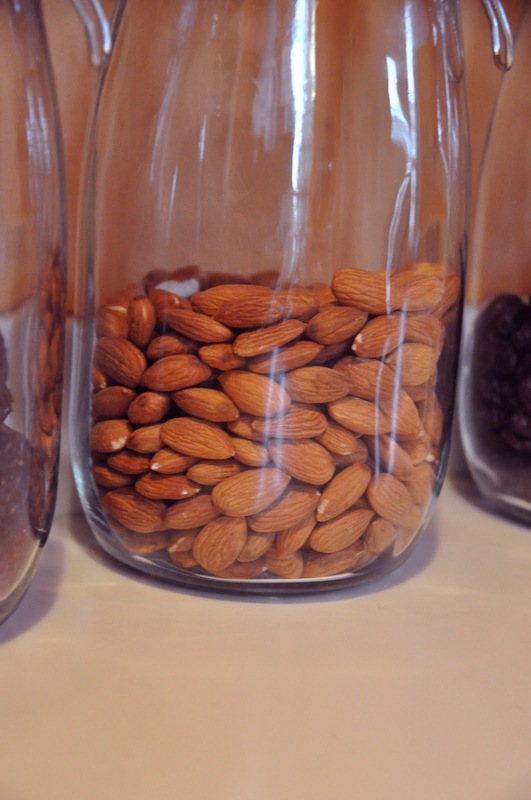 I love snacking on dried fruits and nuts, but I realized that I don't remember what I've got unless my jars are clear. So I replaced my cute polka dot ceramic jars for these cuties (by replaced I mean I stored the other ones in the cupboard, there is no way I would get rid of baby blue polka dotted ceramic). This ensures healthy snacks happen regularly. Not that there are any other options around here, laughing out loud! But it definitely keeps my husband quiet when the snacks are visible.